Full-term babies are born 38 to 42 weeks after they are conceived. Age in premature babies is often defined in gestational weeks (the number of weeks after the baby was conceived) until the baby is 40 weeks old. If a baby is born at 30 weeks that would mean the baby is 10 weeks premature. There are many causes of prematurity and often there may be no warning that your baby could be premature. Premature babies are usually born via C-section, in most cases an emergency. The NICU is on alert, the paediatrician will be standing by to take immediate care of the needs of the premature baby. Due to many advances in medical and science, more than 90% of babies born weighing 800 grams and more will survive. Babies weighing under 800 grams will have less chance of survival with many more complications. Micro preemies face the biggest challenge of survival. 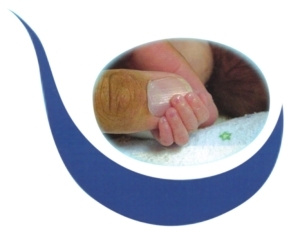 The preemies basic needs are warmth, nutrition, and protection for proper growth and development. The NICU is designed to meet the premature babies needs.